Playing soccer on a gaming platform has always been something I have enjoyed. To see this video from IGNentertainment was exquisite, except for one thing. I never heard any Vuvuzelas. 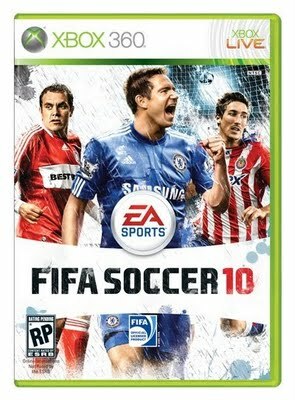 DailyMail launched a competition to win the EA Fifa 10 game for PS3, Xbox 360, Wii or PSP. Answer a question and you could win one of ten copies. 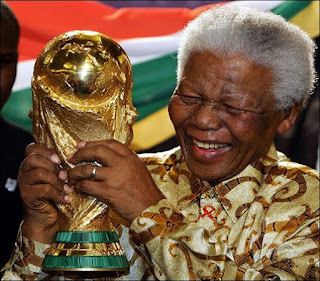 As a proudly South African human living in Cape Town, I think it is safe to say that most people are feeling in very high-spirits and positive to have done so well in the World Cup. We scored 4 official goals in two games. The majority of what I have heard and feel, is that we are proudly the hosts and still winners for having the rest of the games here! Michelle Clarke shared a slide with sound, that gives closure to the Bafana vs France game and an awakening to the remainder of the World Cup. Ke Nako and I will be sad when it is not, but lets enjoy it for the rest of the world and continue being superb hosts. Carry on feeling the Gees (ge-is), United for Bafana Bafana, South Africa and the rest of the world! Whoop whoop! Let's show the rest of the world how fabulous we are! Ke Nako!